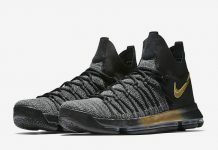 The Nike KD 9 BHM celebrates Black History Month that will debut in a collection that includes the Nike LeBron 14, Kyrie 3 and others. Dressed in this year’s BHM color scheme of Black, Metallic Gold and White. 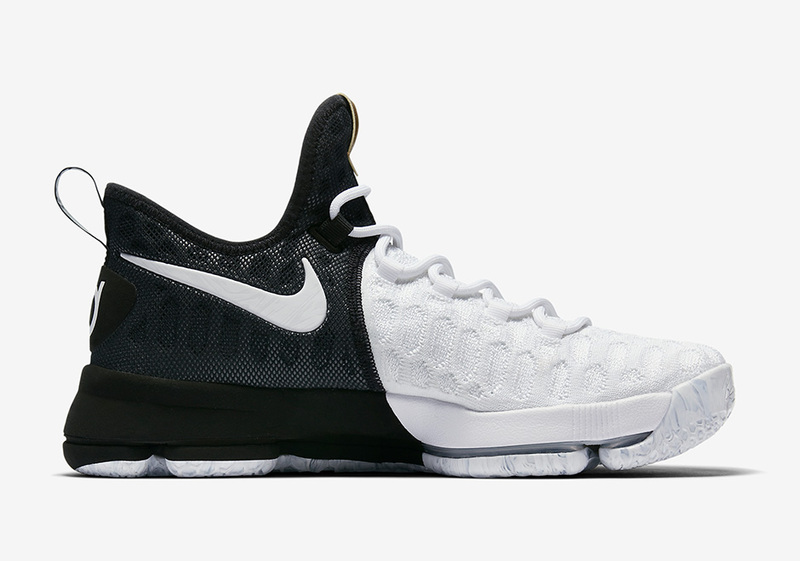 This Nike KD 9 features a full Flyknit upper that’s split from White-to-Black. Metallic Gold accents is seen on the tongue tag for a nice luxurious touch. Look for the Nike KD 9 “BHM” to release with the rest of the collection on February 16th, 2017 at select Nike Basketball retailers. The retail price tag is set at $160 USD.